At Relish Catering, we have a passion for making your vision come to life. We work with you to create and customize everything from food to decor. Whether it’s a wedding, fundraiser or corporate luncheon, we want your experience to be as personalized and unique as it is delicious. We’ll create a unique experience for any kind of event. Our chefs use Colorado-fresh ingredients as much as possible and all meat and seafood is sustainably raised and sourced. We take sustainability seriously and actively participate in bettering our community, supporting local non profits and giving back to causes close to home. I’d highly recommend Relish Catering for any catering situation and thank them for helping our wedding be a grand success. The whole team at Relish Catering was AMAZING! 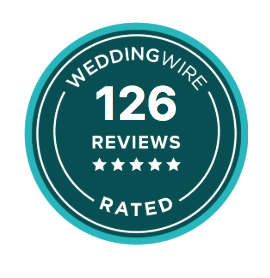 We had Relish cater our wedding and it was a phenomenal experience from top to bottom. The catering staff was attentive, kind, and helpful. All the food is prepared fresh and many of the ingredients are local... All in all, highly recommended. Relish Catering was amazing. Tegan [our event designer] made an effort to get to know my husband and I, as well as what kind of food we like. They made the most perfect menu for our wedding night. It was exactly what we expected. That night Tegan made sure everything ran smoothly. They literally created a menu with everything we loved and more. [Relish] was the only caterer that worked with what I was looking for...and didn't just give me menus to select from... I would recommend any couple to use Relish for their upcoming event, especially if you're looking for something more tailored to you as a couple. "The Relish team provided some of the most impressive food and service I've ever experienced at a wedding. The wedding had an amazing hor d'oeuvre layout, an entire baseball stadium made out of fruits and vegetables. The staff was super professional and the main course was delish." "Your staff provided the best food and service that we have ever received." "Relish recently catered a small dinner party for 12 in my home. Brett worked with us to come up with a perfect menu of appetizers, salad, dinner and dessert for the evening...It was so nice to get to enjoy my guests and not worry about cooking, serving and clean up...I would use Relish again in a heartbeat. I can recommend them without reservation." "Love you guys! Thanks for being creative and always going above and beyond for my clients." "Great food. Great service. Great ideas." "This company is amazing. We ordered a Thanksgiving dinner for 15 and it was delicious!! It was one of the nicest holiday dinners number one, because I didn't have to cook it and could spend time with the family and two because everyone was so impressed with the food. Thank you for making this Thanksgiving day so wonderful!!" "My baby shower was amazing!! Kentucky derby themed food, decor and more!!"